Purchasing has an overwhelming impact on the bottom line of an organization. It involves multiple activities to keep business running, strengthen business relationships and meet ultimate business goals. Using this purchasing software for business, you can streamline all purchasing activities with a few taps. Manage multiple products, vendors, distributors, orders and much more to make a data-driven purchasing decision that helps you in optimizing the process in long run. You can manage end-to-end purchasing activities, including order creation to order placement with this purchase order app. You can manage your products and orders as per your preference and requirement. Create and manage orders by vendors, by products or by category for a systematic purchase order management. Purchasing Manager app enables you to review your previous orders and understand the demand. Based on that, you can anticipate your next and future orders. It facilitates intelligent purchasing based on real data to provide businesses with a 360-degree view of purchasing. Unorganized ordering cycle has always been a major concern with traditional purchasing approach. 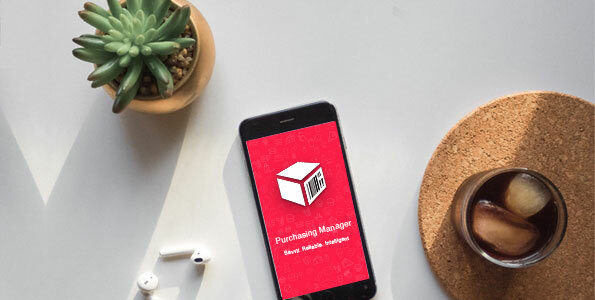 With purchasing Manager App, businesses can share their orders with multiple vendors and distributors through email and messengers online. Simply map products with their respective vendors and distributors to instantly create orders, and email them in minutes. You can choose to save the order for future reference instead of sending to vendors right away as well. Businesses deal with thousands of products in different categories and hundreds of vendors. Simply sync your account with Purchasing Manager to protect your data from loss. You can import your backup data anytime with no hassle. Although, it has a comprehensive help/FAQ section to help users understand the app and make the most out of it, users can also raise tickets to get assistance from support team. Strategic Purchasing or Manual - Which Way Will You Head?